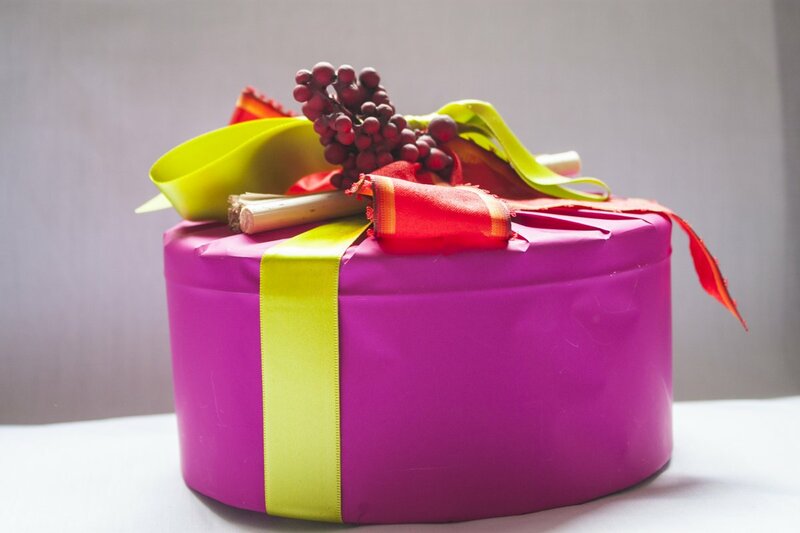 Wrap for You: Let's get started! It's been a very hectic start to the New Year but a great start! I hope that you had a wonderful break over the Christmas Holidays and that you'll get many opportunities to wrap up all sorts of lovely goodies! But first things first! There are some changes to my February course dates. 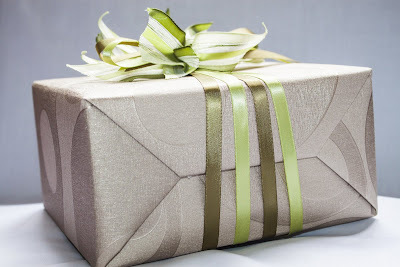 The I Heart Market has been moved to the 16th February to allow for AFCON so my February course date for the Introduction to Gift Wrapping has been moved to Saturday, 23rd February from 12:00 - 16:30. This course only has 1 space left on it already! If all slots are taken up, I will start a Waiting List. There are no courses scheduled for March but I start them again in April. I will keep the dates updated on this blog. The best thing about having some time off is that it allows you a chance to think. Suddenly, not faced with tons of meetings and running around all over the show, I get a chance to ponder and think about new ideas. I have a wonderful new product idea which I am hoping to launch at the I Heart Market on the 16th Feb so keep an eye out on this blog to see what it is. 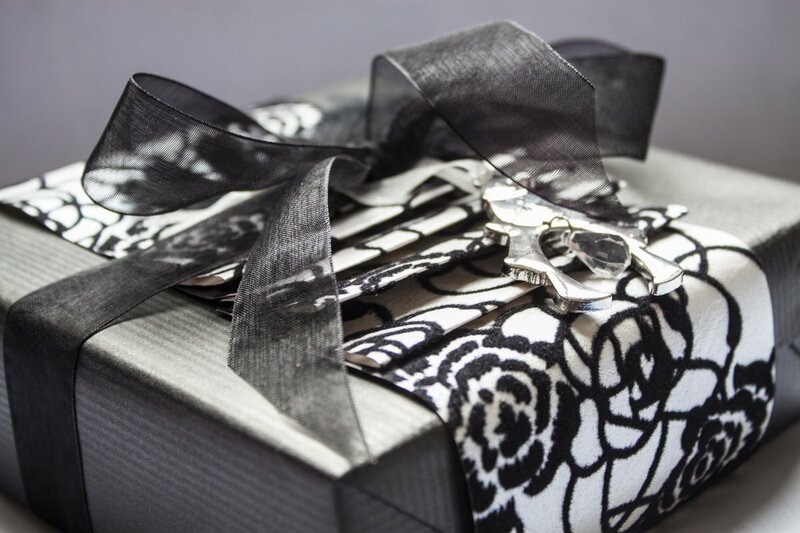 I was very blessed to be featured in the December issue of the Get IT Magazine for Ballito and North Coast and their journalist, Monique de Villiers very kindly sent me some of the pictures that she took of my gift wrapping. 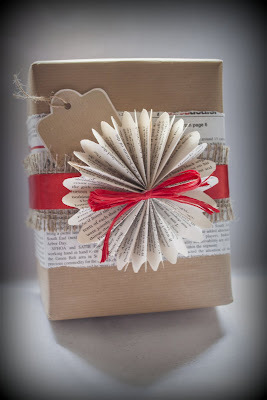 I thought that I would share them with you and draw your attention to the finish of the wrapping. 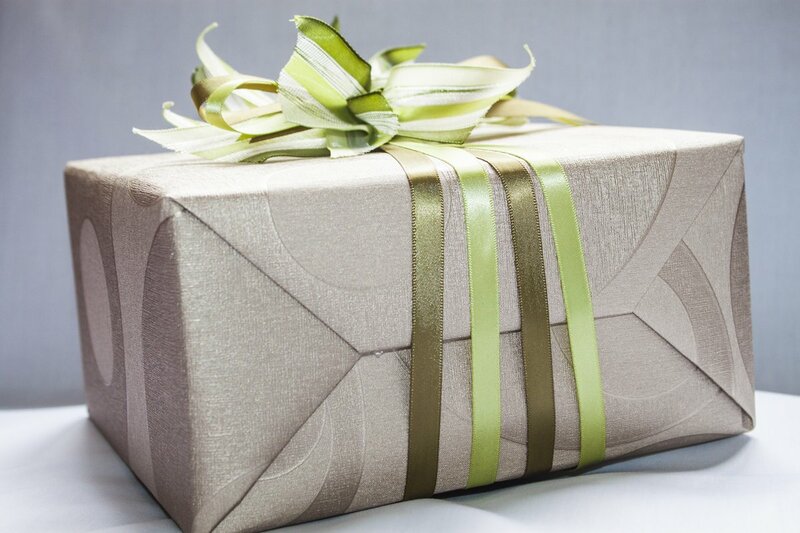 This is what you learn on one of my gift wrapping courses! I focus on teaching you HOW to wrap. Whilst I do cover ribbon and bow techniques during the course, it's important for you to know HOW to wrap a round tin, or a bottle or an awkward gift. 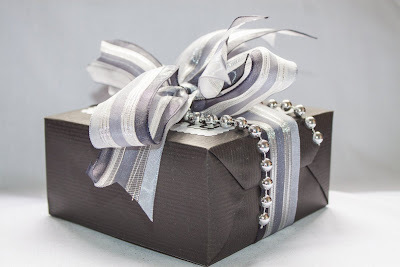 There is definitely demand for a Gift Topper course so during the course of this year, I will be introducing a course where we will focus purely on different ideas for decorating your beautifully wrapped packages.